Corrosion protection is an important topic for industrial operations with their own machines and systems as well as for service providers such as warehouses and workshops. Particularly during storage and longer transports, vehicles and machine parts must be protected from corrosion through moisture and weather impact. Caramba corrosion protection wax was especially developed for this application range. This product is a low-viscosity solvent-based wax dispersion with excellent creeping effect even at high or low temperatures – ideal for building machines and agricultural vehicles but also for the preservation of components and tools. 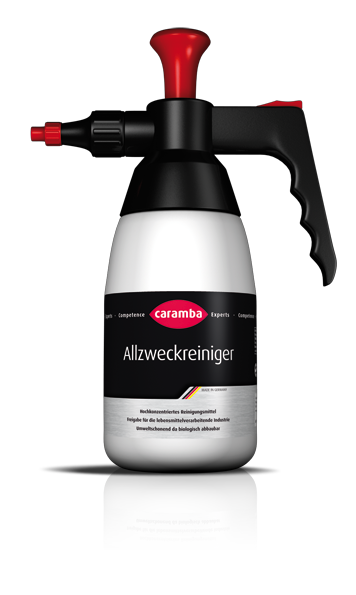 The areas of application of Caramba corrosion protection wax are manifold. Thanks to its first class physical properties, this product is suitable for thin protective films on aluminium, copper, brass, zinc or chrome and for thicker protective layers when transporting machines, engines, gearboxes and generators. Corrosion protection wax helps to preserve agricultural utility vehicles which are often exposed to extreme weather impact as well as small tools that are stored. Caramba’s corrosion protection wax is also used for the later preservation of vehicles since painted surfaces are thus optimally protected. The better penetrating properties and the high dropping point ensure a thick protective shell even at temperatures up to 100° Celsius. At the same time, the wax remains flexible for a long time, event at cold temperatures. Corrosion protection wax is easy to apply thanks to the aerosol can. Simply shake the can and spray the product regularly on the clean surface from a distance of 20 to 30 cm. You obtain the best coating thickness by applying in two crosswise motions. Corrosion protection wax expels moisture and quickly builds an elastic film without emulsifying. Consequently, rubber and plastics are not damaged. If need be, corrosion protection wax can be easily removed using a steam jet unit and adding 3-4% cold cleaner.